Police and the FBI released surveillance video of the SUV wanted in connection with the kidnapping of a 13-year-old girl. LUMBERTON, N.C. (WTVD) -- Lumberton Police Department and the FBI released a photo and surveillance video of the SUV wanted in connection with the kidnapping of 13-year-old Hania Noelia Aguilar. The photo was captured near her home minutes after the kidnapping. In a news conference on Wednesday afternoon, the FBI also said they do not have any reason to believe Hania knew her abductor. Lumberton police and the FBI are asking anyone in the Lumberton area with a home surveillance system to check the video for any clues into Hania's abduction. 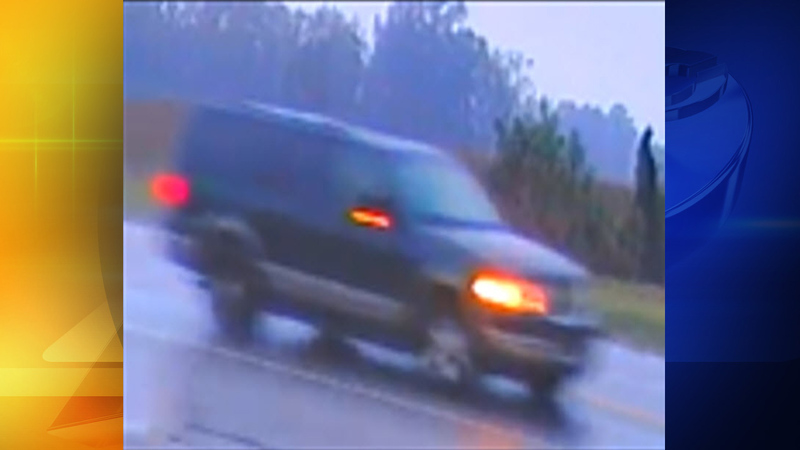 The SUV is a green, stolen 2002/2003 Ford Expedition with a South Carolina license plate, NWS-984. The FBI released a second surveillance image of the SUV. Aguilar was last seen outside her home at the Rosewood Mobile Home Park on November 5 just before 7 a.m.
Investigators said Aguilar was outside her home starting up her aunt's vehicle in preparation for going to school. Witnesses said the man who abducted Aguilar wore a yellow bandanna over his face, so they did not get a good look at him. They said he grabbed Aguilar and forced her into her relative's vehicle -- a green 2002 Ford Expedition with South Carolina tag NWS984. The FBI said the paint on the hood of the vehicle is peeling and there is a Clemson sticker on the rear window. Call 911 if you see the SUV. The FBI is offering a $15,000 reward for information that leads to the whereabouts of Aguilar. Lumberton Police Department set up a special tip line to call if you have information to help investigators find Hania at (910) 272-5871. Missing posters are now available in English and Spanish on www.fbi.gov.